Now that our Jedediah Pants pattern is out to test sewers, Matt is eagerly anticipating putting on his pair of “Dream Shorts” after a successful sew-along! 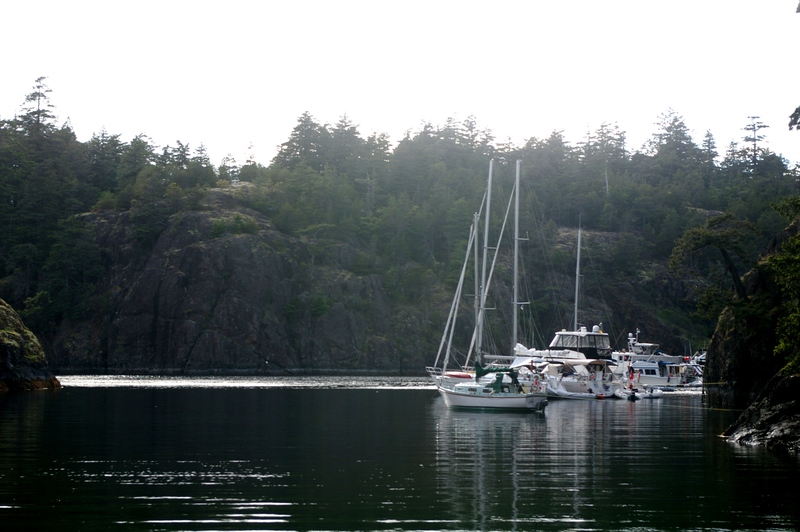 In case anyone might be interested in a little back story: The Jedediah Pants pattern was named after Jedediah Island, a spectacular boating destination in the Straight of Georgia off of Vancouver Island, B.C. Since the Jedediah pattern was designed to produce Matt’s DREAM pants and shorts, the name Jedediah is only fitting since this island is where he proposed and became engaged to his DREAM girl! My grandparent’s little sailboat, Teal, (snuggled up in one of Jedediah’s cozy bays) that we borrowed to sail to our favorite island back in 2010. In preparation for the Jedediah shorts sew-along I thought it would be helpful to include a post that would provide everything a sewist needs to buy their fabric and notions in time for the sew-along start date on August 15th! 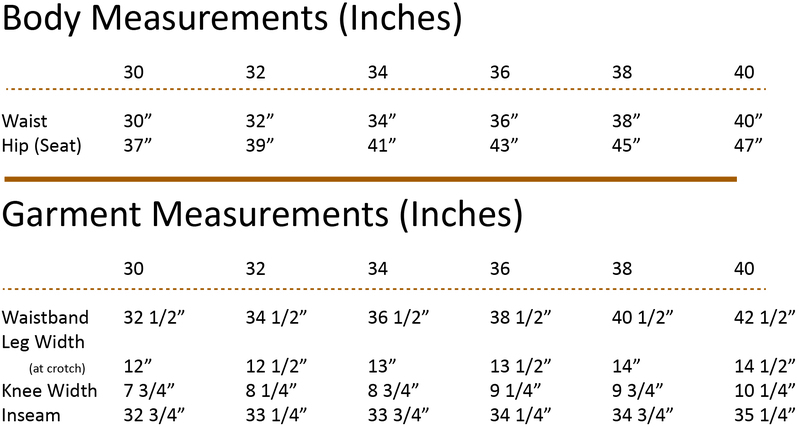 Below you will find the materials required page straight from our instruction booklet PDF, as well as the garment and body measurements for easy reference. I have purchased my fabric already (a sturdy but soft coloured denim in royal blue) and today I prepared my bias binding. As you can see in the materials required chart, I have estimated 5.5-6 meters. This is a very generous estimate as this is how much you will need if you are binding all major seams (aside from the flat-felled inseams). If you plan to just bind the outseams you will likely need something closer to 1m per leg. To make my binding, I used a vintage handkerchief (part of a collection given to me by my great grandma!) and Colette Pattern’s amazing and fabric-saving tutorial to make continuous bias tape. This method is perfect for making seam binding because it doesn’t use very much fabric but, because of this, also results in binding with a lot of seams. These seams might not look very nice when used as trim on the outside of a garment, but they aren’t really noticeable when used as binding on the inside. My handkerchief was a 20″ square before I cut it up and made 4.3m/4.7 yards of bias tape. Instead of cutting 1″ wide strips of fabric as the Colette Pattern tutorial suggests, I cut 2″ wide. This made 1/2″ wide binding which I find to be less fiddly to use. You don’t need to make your own binding for the sew-along as store bought will work nicely…but I love how the possibilities of prints and colors are endless when you make your own! Good luck fabric shopping! I was overwhelmed with the enormous collection of twills and denims at my local Fabricland…I hope you have the same huge choice of summery fabrics! 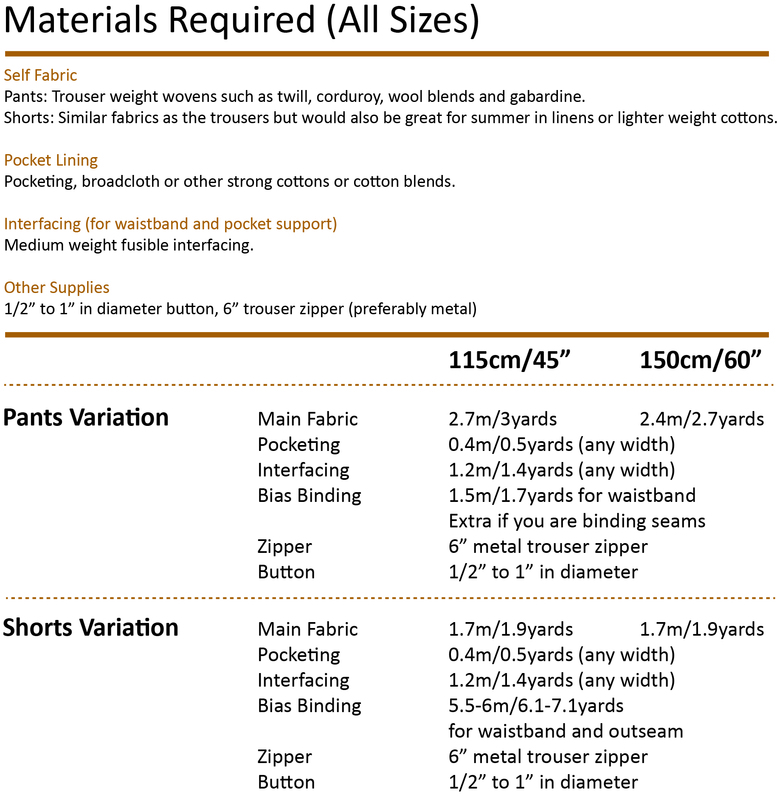 Categories: Friday Posts, jedediah shorts | Tags: sew along | Permalink.